Looks like Alumni Hall is finally going to be torn down and rebuilt...according to the TU facebook page. As a former resident of Alumni, it's long overdue! After all ther recent construction on campus there were two ugly scares left on campus, SAGA and Slumni. 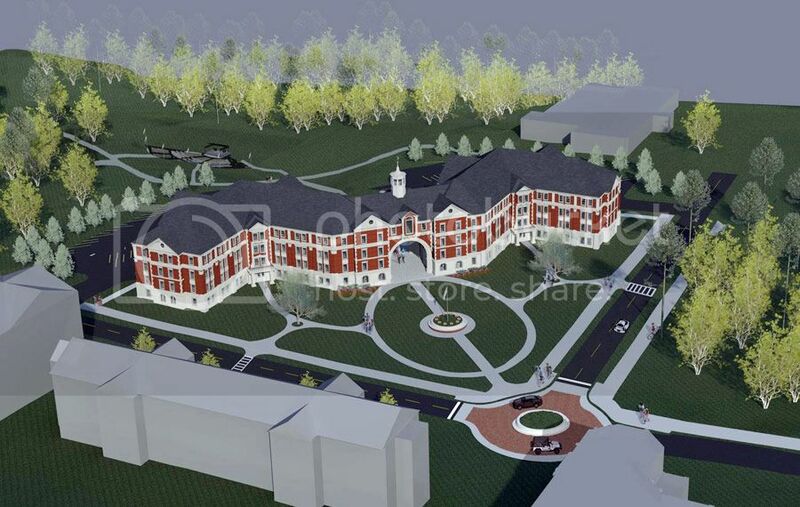 We now have the new Trojan Dining Hall and this soon to be beauty of a dorm hall. These two buildings will be great recruiting tools for incoming freshmen. Last edited by troy4ever21; 11-19-2013 at 10:25 PM. Former Alumni Hall 4th floor resident here.